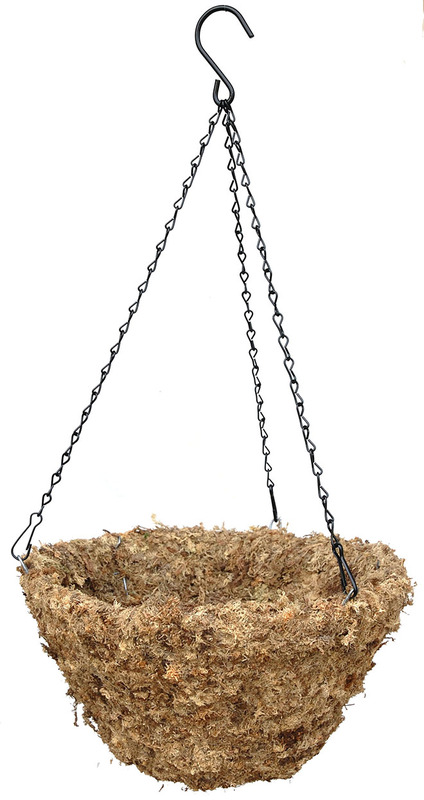 Sphagnum moss hanging basket - 10"
Home > SPHAGNUM MOSS HANGING BASKETS > Sphagnum moss hanging basket - 10"
10" Sphagnum moss planter. Hand applied 1.5" thick layer of compressed sphagnum moss to the outside of a wire basket. This basket is 6" deep. Shipped with standard dark green wire hangers.